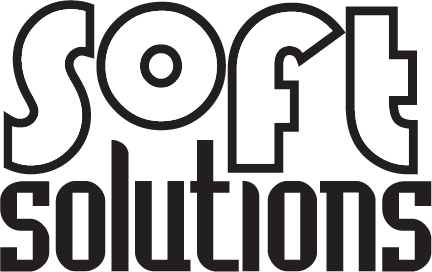 NetPath - The network oversight you deserve - Soft Solutions Ltd. When your customers say “the internet is slow” wouldn’t it be great to have a quick and easy way to see the route a particular machine is following to get to the app or site and work out what node seems to be holding things up? If you answered yes to that, then you’re going to be very excited about the addition of NetPath into SolarWinds Remote Monitoring & Management. How exactly will NetPath help me? With NetPath you will have complete oversight of a user’s connectivity to any apps and service they use. To give you an example: you will be able to monitor the connection between a user’s device and the Office 365 service. In between that you can see all nodes (both in and outside of the network) that the traffic flows through, its relative performance compared to historical data and any issues or outages that will be impacting their experience. For those using other platforms it can also be used independently of RMM’s other features thanks to SolarWinds MSP’s flexible pick-and-choose model. Know about outages before your users – NetPath collects performance metrics and details of the network connectivity between the source and destination nodes, thus enabling you to see into the end-to-end performance a user is experiencing. Identify a problem and the person to contact to solve it – NetPath collects information, including company and contact information, of external nodes in a network path, providing the average support person with the tools to quickly identify where, when, and why a node might be impacted. See the whole network path – NetPath enables you to understand your providers’ networks better than they do with visibility into the entire network path. It delivers information on all the paths a network packet may take to reach its destination. This gives an MSP insight into the end-user’s ability to use an application at any point in time versus relying on feedback when it goes down. Track every hop and view latency historically or in real-time – NetPath can be set up with 10-minute intervals for monitoring, plus it saves all historical data on path performance—saving you time troubleshooting by having an incremental timeline of path history for the last 30 days. If you are interested in learning more about NetPath and its integration into SolarWinds RMM, SolarWinds MSP are running a webinar on the 23rd of March between 12:00 PM – 1:00 PM NZDT. You can register through the link below.